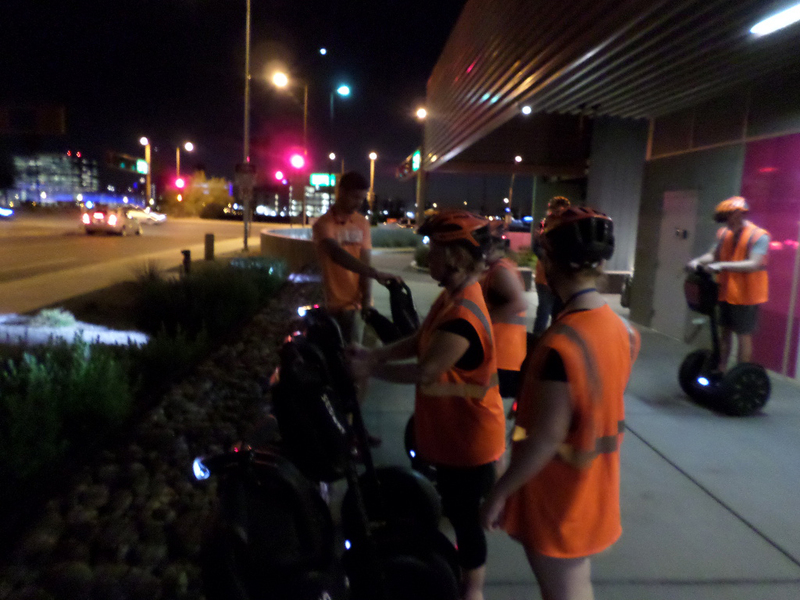 Last weekend for Mike's birthday we went on a Segway tour of Tempe Town Lake. Phoebe and I all geared up. The tour started at dusk and we had to spend some time practicing. The segways are very easy to use since they're based on how you shift your weight, but some things about it are very counter intuitive. 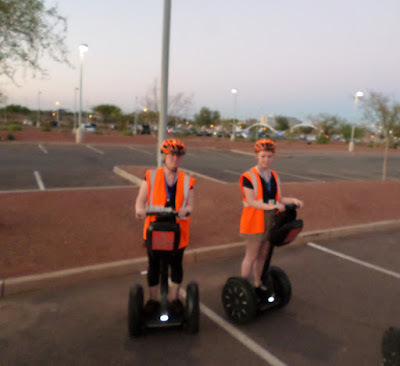 Anyway as we set off for our lake tour it was pretty exciting as the segways are actually a lot of fun to ride! The tour was really quite fascinating. We passed under a railway bridge that crossed over the lake and our tour guide, Josh, said that it was the oldest bridge that crossed the lake and when it was rebuilt they proved it's stability to the residents by walking an elephant across it. Not because an elephant is heavier than a train, but because an elephant won't walk on a surface that isn't structurally sound. Anyway halfway through the tour we made a pit stop at a local Starbucks. I was glad because shifting back and forth makes your feet ache. Anyway this is a photo the tour guide took of us by the lake. It was moments later that we had our calamity. 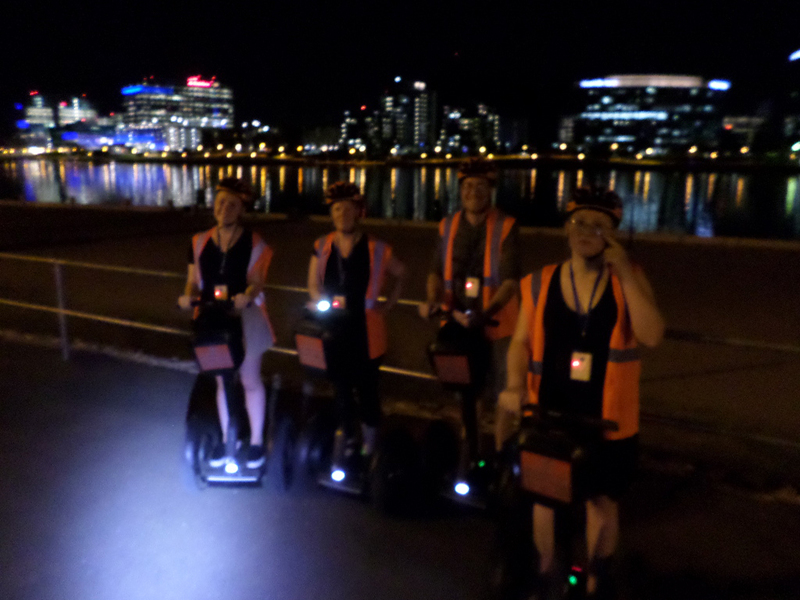 We sped along by the lake when the tour guide slowed us down . Each person in the group stopped more and more suddenly when Mike in the back went off the path and lost control. As our guide went over to help Mike back on track, we waited to the side. 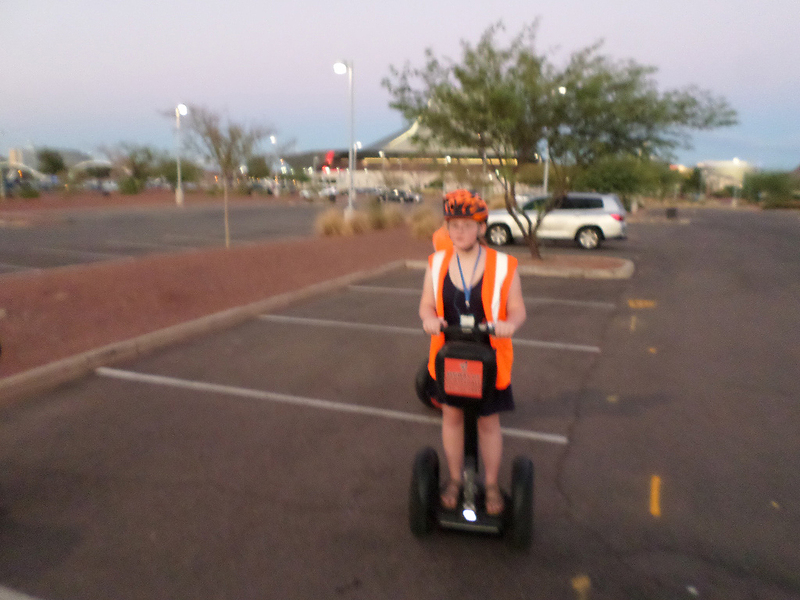 Naomi came over to wait near me and her segway tapped my wheel. I didn't react right and and suddenly I was on the ground with the segway rolling over my foot. I wound up pretty beat up, but we finished the tour. 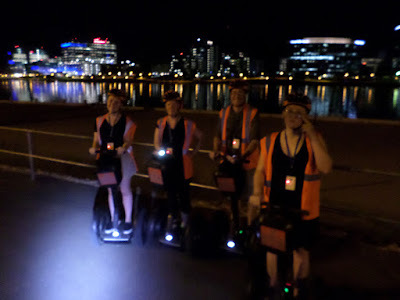 Still I'd consider doing a segway tour again, it was a lot a great experience up to that point. With Halloween approaching my mask orders have exploded so I'm in a panicky place these days (especially since I have other deadlines). These are 2 custom masks that I shipped out a few days ago. Right now I have eight masks on my table in progress and three packed up by the door. Every day I ship more and new orders come in and of course my kids got me sick so I'm pretty doped up on cold medicine. On the plus side Mike and I are getting out of town next weekend for the HP Lovecraft film fest in Portland, OR. 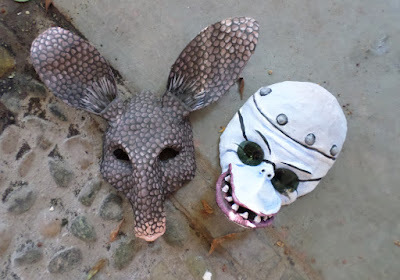 It won't be great for my mask orders but it will be fabulous to fly away for a few days!